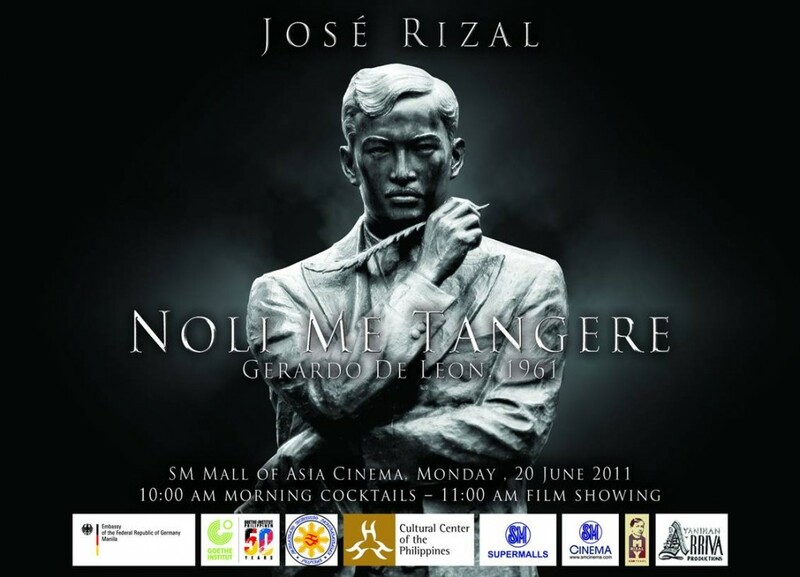 The Goethe-Institut Philippen invites you to a special film screening of Jose Rizal’s Noli Me Tangere (Gerardo De Leon, 1961) on Monday, June 20, 2011 at the SM Mall of Asia Cinema 1 at 11:00 a.m. There will be morning cocktails, before the screening, at the Imax Theatre on the second floor at 10:00 a.m. There will also be a nationwide screening of the film in SM cinemas. 16 to 19 June 2011, 8:00 a.m. – 11:00 a.m.
19 and 20 June 2011, 8:00 a.m. – 11:00 a.m.
20 and 21 June 2011, 8:00 a.m. – 11:00 a.m.
How much the film screening of Jose Rizal Noli me Tangere? Is it free or not? Hi! I wanna watch at the IMAX tomorrow Can I still RSVP?